Over the past few months I've been nominated for a number of prestigious awards and recognitions. I'd like to thank all the little people who've made this possible, and offer my appreciation to you kind folks who must keep nominating me. Among others, I've been nominated to join Cambridge's Who's Who, Emerald's Who's Who, the Presidential Who's Who, and not long ago I got the nod we all hope for...Strathmore's Who's Who!!! 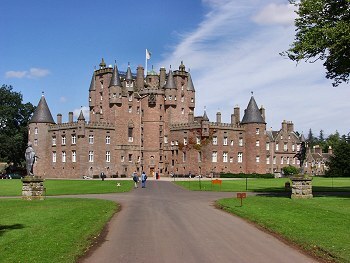 My wife and I recently traveled to Scotland and visited Glamis Castle, home of the Earl of Strathmore. I was just a touch disappointed that the Earl didn't make a point of seeing me, given my recent nomination, but perhaps he was ill... In any case, thank you all for your support. I'm sure I couldn't have achieved these great heights without your help.